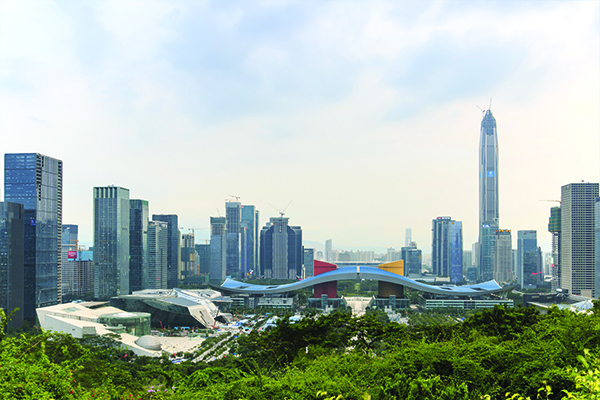 Letter from Beijing (and Shenzhen and Hong Kong). The impact of Beijing (25 million people) is not so much the new cityscape, impressive as it is, but the completeness of the transformation in the grind of daily life that truly defines any city. The 2002 street vistas of chaotic bicycle and diesel-choked roads with more than their fair share of people barely getting by and an Orwellian uniformed presence on every street corner have gone. Now replaced by clean new highways, relatively (to the rest of Asia) unjammed roads full of purposeful-looking people, many either in sleek new cars (a lot of Lexus, Audi, Teslas and – hooray – Jags & Rangies) or shiny, equally new non-pollutant buses and trams. Or they are peddling serenely along on yellow bikes, courtesy of a massive & trusting bike-share system (no docking stations) that puts Boris bikes in the shade; and nary a cop in sight – this is now a CCTV city. In the shops and restaurants cheerful service has arrived (Beijing waiters used to rival Paris's for their friendliness-bypass). And just in case this is seen as a Beijing-specific commentary, I saw the same visual uplift and commercial energy alongside hugely impressive city buildings and public facilities in Shenzhen (12 million) whilst Hong Kong, which I'd expected to come top of any city-impact competition on my trip, felt, in comparison, like it has stood still. Still buzzy, visually dynamic and admirably gritty people but little changed. Undoubtedly a more comfortable lifestyle proposition for Western expats but if I were still running a non-financial China-market business from Hong Kong I'd be seriously considering relocating into the thick of things. In short, this is a nation on the march, fuelled by an obsession with (heavily encrypted) 'WeChat', with money in its pockets and a firm sense of pride, ambition and destiny. Also – some might quip – by a mountain of debt. Indeed, whilst I write this S&P have just downgraded China's long term credit to A+. There is undoubtedly a lot of leverage around. Lots of shiny new buildings, sky-high real estate prices and luxury cars on every corner at 0% APR are often, as we know in the UK, the canary in the mine and serious business people here are looking to diversify risk. But I wouldn't bet against the Party steering its way through this. They have all the levers and in the 30 years I've been coming to China its leadership have consistently confounded economic experts in the West. What about China/UK trade? Don't believe the cynics who say we are unimportant to China in the big picture. There is a genuine belief here that the UK is a natural partner in a number of areas and, for many, a natural market into which to diversify risk. Its currency is also cheap, there is no Msr Junker giving speeches calling for protection of EU assets against Chinese purchase (yes – he did, a few weeks ago; spectacular own-goal) and, contrary to what you may read in the press (and Hinckley hiccups aside), the UK and Chinese governments have made a pretty good start in articulating and promoting the natural links to their respective business communities. Having said that, a few drinks quickly brought out the view that conference fatigue is setting in and large set-piece agendas and photo-ops are no substitute for getting to grips with real opportunities. And Brexit? It seems to have about as much resonance to Chinese business as the match down the road at Brentford FC would have for a full Stamford Bridge on a Saturday afternoon. It’s there, it's something you know about, but the result is not going to get your attention without a pretty good reason. This is partially because they are pragmatic, seeing China and the UK as two nations with histories of great achievement and assuming the UK will, as a major economy, get through this and still feature large in the World in a few years’ time. It's also due to a more practical fact. 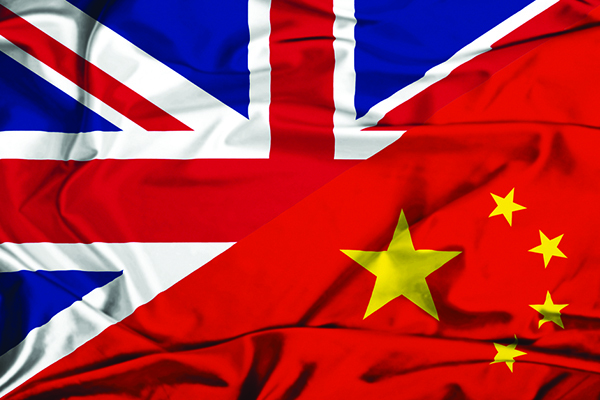 Chinese interest in the UK is in sectors for whom issues like supply chains scattered across the EU or manufacturing that could face tariffs in an adversarial Brexit are far less important. They are interested in partnering/acquiring high tech with worldwide potential, in UK education, in our healthcare, in cooperating on international infrastructure projects, in our globally competitive media and fashion sector. Even in finance, unlike the doomsayers who constantly say everything is going to leg it to Frankfurt or Paris, Chinese officials just don't see there is any credible alternative with the depth and markets infrastructure of The City of London. As for that that perennial Chinese investment favourite, real estate? Brexit is a buying opportunity and – compared with the US and EU – whose willingness to run an economy open to overseas acquisition do you trust more? For the Chinese government Britain's desire to achieve quick trade wins with major countries must also look like a 'buying' opportunity. Given the frequent comments about our visa system and right to stay I wouldn't be surprised if that ranks amongst the first polite – but insistent – requests for greater flexibility. Key conclusions for SIL members? Some past private sector contacts of ours have prospered and risen greatly, plus we have met some very impressive new ones. We are developing private sector connections to compliment the HMG avenues open to members (and in which we, notably in Infrastructure, are involved). Expect some announcements in 3-4 months. There is a definite clamp down on export of capital for overseas investments. Foreign buying is, if not off the agenda, frowned upon and the necessary permission to spend foreign currency will be very slow in coming. So don't expect Chinese companies, therefore, to be competitive bidders in M&A auctions, unless they already have offshore vehicles, probably Hong Kong or major overseas exchange-listed. Even then, mainland Chinese shareholders with funds offshore will be wary of upsetting current policy. What is expected from the very top carries weight right down through the system. Exceptions are investments that generate competitive edge and efficiencies for China and those that support President Xi's OBOR campaign (One Belt One Road). This means tech, education and infrastructure. 'Tech' is a wonderfully ambiguous phrase. The key measure will be whether the tech has the ability to improve quality of life in China or make the country more competitive. So, the tick list probably includes anything in the environmental/energy efficiency area, anything in advanced/new materials, in intelligent manufacturing, in IT, AI and very much in healthcare, pharma and medtech. The elephant in the room is, of course, IP protection. It's improving; work-in-progress and unless you are selling a company, in which case IP infringement becomes a headache for the new (Chinese) owner, you need the right partner. They exist. Most definitely. 'Education' ranges from traditional provision across kindergarten, primary, secondary and higher through to distance learning and advanced education aids. There remains a strong affinity with all things British in education, albeit, given comments on what schools and universities charge compared with other strong international education markets, the words 'golden', 'kill' and 'goose' come to mind. Setting up in China probably needs closer examination by more than the relatively few UK schools and universities already there. There also remains a strong irritation both with our including students in immigration stats, our clunky visa system and our desire to take their parents’ money and then make it difficult to allow the students to stay and work. If I were a DIT Trade negotiator keen to expedite a bilateral trade agreement I'd be expecting some pressure on that front. Infrastructure and OBOR is a recurrent theme. As regards cooperation with UK companies there is, at first sight, a contradiction. Namely, if the Chinese prime contractors’ model is to design and build and if they are fully capable of very high quality in-house feats of engineering (witness the quality in China of the airports, high speed rail, nuclear etc. etc.) then why do they need the Brits? The answer lies in relationships, finance, programme design and consulting expertise. As long as China had considerable construction over-capacity and the state would guarantee the credit risk of the project then inherent market viability was less of an issue. If, though, the State guarantee is less forthcoming and projects have to be planned, engineered and delivered to give an acceptable rate of return, then there is real interest in working with experts in other forms of finance, such as PPP, and with consultants who have experience of delivering world-class engineering and a profit. The additional attraction of the Brits is recognition that in certain targeted OBOR countries we possess deep history, understanding and connections that are needed to provide the optimal political ecosystem in which to deliver a commercially viable project.